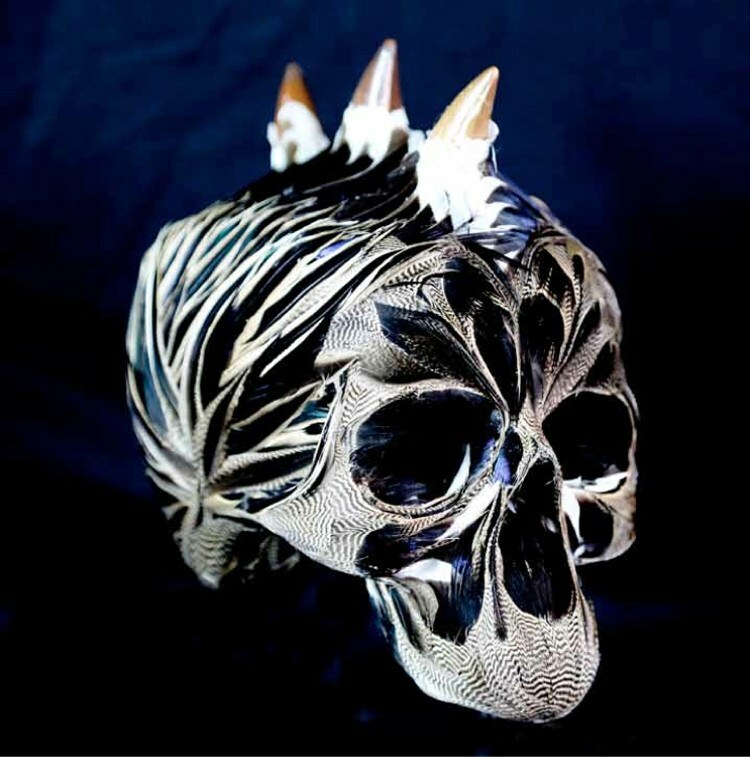 Laurence Le Constant is a French contemporary artist known for her stunning skull sculptures often with applied feathers. 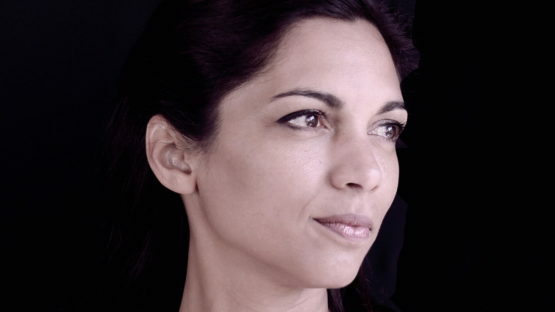 Born in 1976 on Reunion Island, a French department in the Indian Ocean, she moved to Paris in 1999. Laurence studied applied arts with a specialization in fashion and textile, and completed her education with studies in the Fine Arts at the Sorbonne University in Paris, as well as in couture at the Ecole de la Chambre Syndicale de la Couture Parisienne. For a certain period, the artist worked as a feather worker in Haute-Couture ateliers in the capital of France, before 2010, when she decided to devote herself to her own practice as a visual artist. 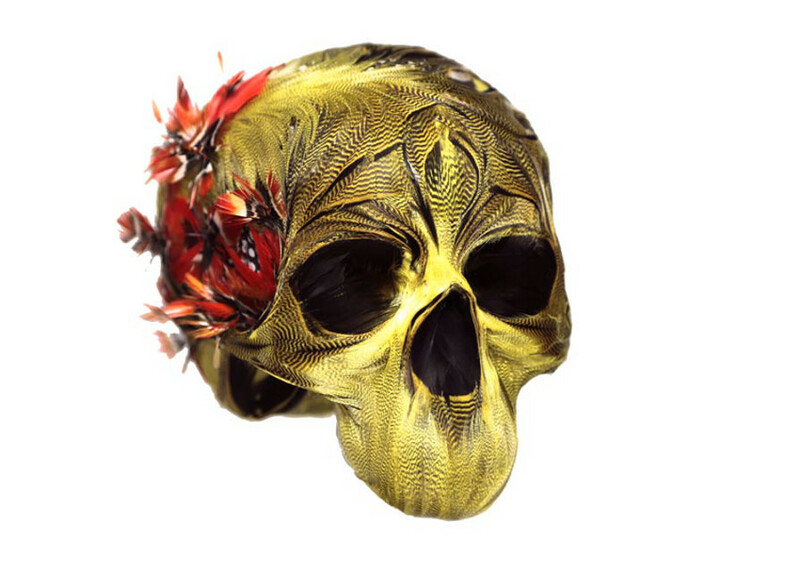 Laurence Le Constant’s skulls are portraits of women, inspired by her own genealogy. Building herself as an archeologist of memory, Le Constant’s work lies in the process of revival, her vanities are like relics: repositories to remind viewers of how close the death is. The main theme in her practice is dislocation of the body and the spirit of a woman, and the duality through the different periods of live – the difficulty of becoming a woman, the decline of getting old and the transition from life to death. Both figurative and fictitious, scenes are located in the world between the imaginary and the reality. In her practice, Laurence Le Constant often uses the materials such as valuable wood, crystals, coral, fossilized animal teeth, and most often the rigorously selected feathers glued one by one on a resin base. One of her most famous series of works, entitled My Lovely Bones, is inspired by an old Mexican story La Loba, about a Wolf-Woman who collects the bones of desert animals especially that which is in danger of being lost to the world. Halfway between raw funerary art and haute couture, the artist sculpts the feather as one would spin a cocoon, making unique pieces which requires many days of work. Beside sculptures, Laurence Le Constant works in mediums such as installation and painting. In installation Her Garden, Le Constant pays tribute to her grandmother who raised her. Representing the biblical “Garden of Eden”, Her Garden is conceived as a rite in diverse nostalgic microcosms gathering the scattered parts of her psyche. Other series of Le Constant’s oeuvre are The Dolls series, and In my Shoes series of work. Represented by Geraldine Banier Gallery since 2011, Laurence Le Constant has participated in many solo and group exhibitions in Paris, Dallas, San Francisco, Tokyo, and Osaka. Her piece Micheline, from the series My Lovely Bones, is in the permanent collection of the Dallas Museum of Art since 2012. 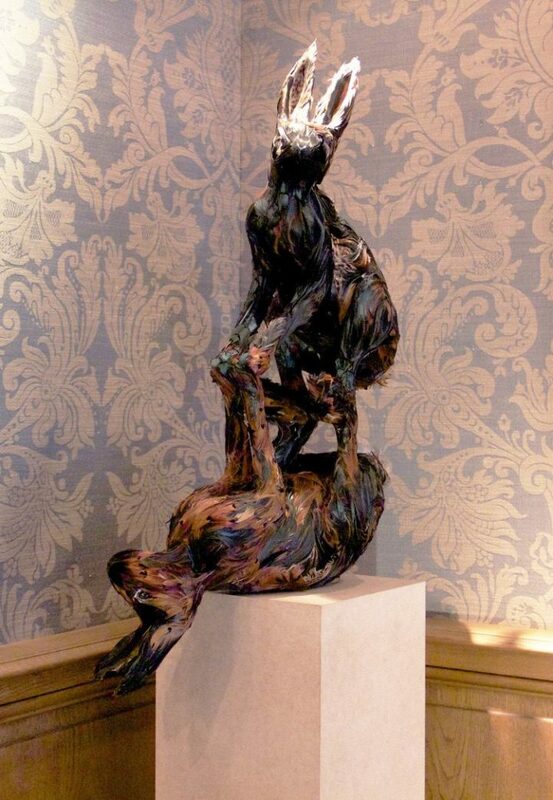 Le Constant’s work is part of the private collection Mr Bill Pallot since 2012. She worked in studios of haute couture for Chanel, Dior, Prada, Emanuel Ungaro and Jean-Charles de Castelbajac. Laurence Le Constant lives and works in Paris, France.